Dr. Pete has experienced firsthand tremendous positive results from chiropractic care at different stages of his life that ultimately steered him to join the profession. From healing chronic sports injuries to managing the problems that come with sitting in a desk at school all day, he soon realized that chiropractic’s approach to building health and maximizing everyday performance made sense. To gain a chiropractic education, Dr. Pete enrolled at Life University in Marietta, Georgia. There he met his wife, Dr. Meg, and together they started to put together their vision for bringing chiropractic to their community. Since his graduation in 2009, Dr. Pete has continued his commitment to go above and beyond by staying at the forefront of health research. He is currently earning a Certified Chiropractic Wellness Practitioner qualification through the International Chiropractic Association. Dr. Pete’s passion for providing family care extends to his own, which includes three great kids and his wonderful wife. Their spare time is spent together, playing with their children and doing all sorts of activities with them. 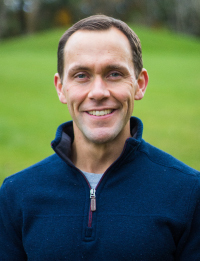 Dr. Pete enjoys playing soccer and is a member of the Michigan Association of Chiropractors and the International Chiropractic Pediatric Association. If you’d like to find out more about what we do, contact Rom Family Chiropractic in Shelby Charter Township today!